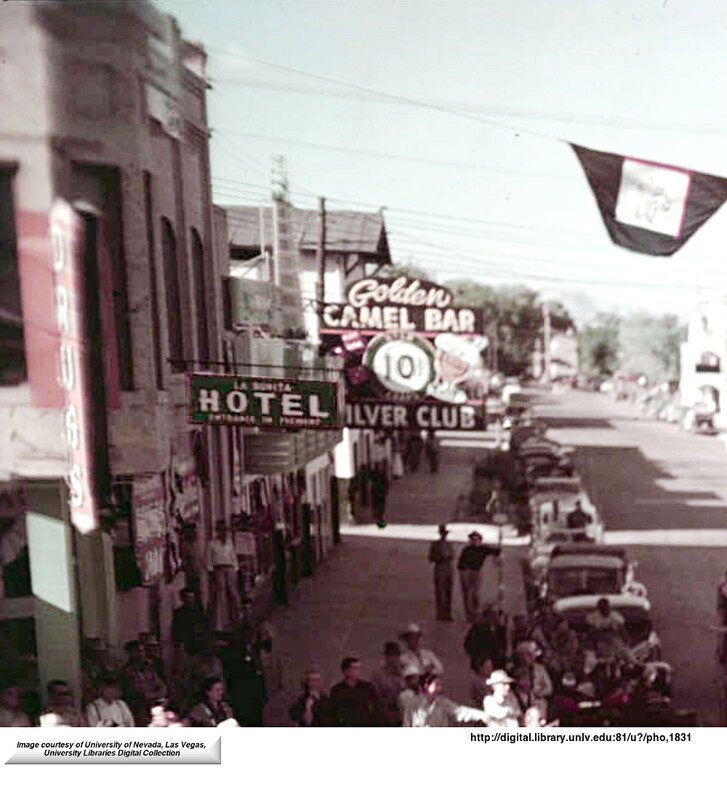 Silver Club, Golden Camel, and La Bonita Hotel. ...During the Great Depression many locals were often short of money, so the Fongs served meals free of charge. As a result they developed a reputation for their kindness and generosity throughout the community…. 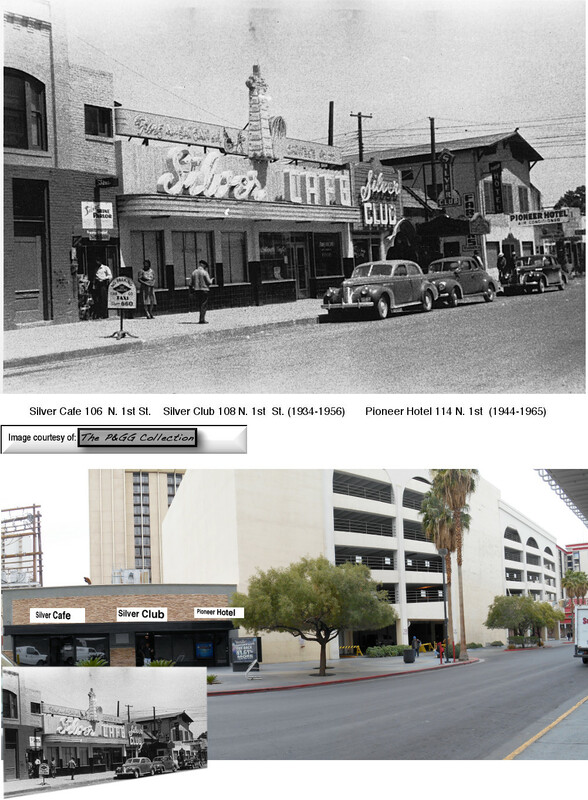 The construction of the Hoover Dam between 1931 and 1935 brought a large number of workers to the area… the brothers…opened the Silver Cafe in 1934 on land leased from Mrs. Charles Morgan on North First and Fremont. One of only three “large restaurants” in town, it was noted for its all-electric kitchen and twenty-four-hour service. By 1938 the restaurant could accommodate ninety- four customers and even had slot machines for entertainment…. In 1939 Sui Mon Fong sent for his thirteen-year-old nephew, Wing Fong (1925-2005), to help out at the restaurant. 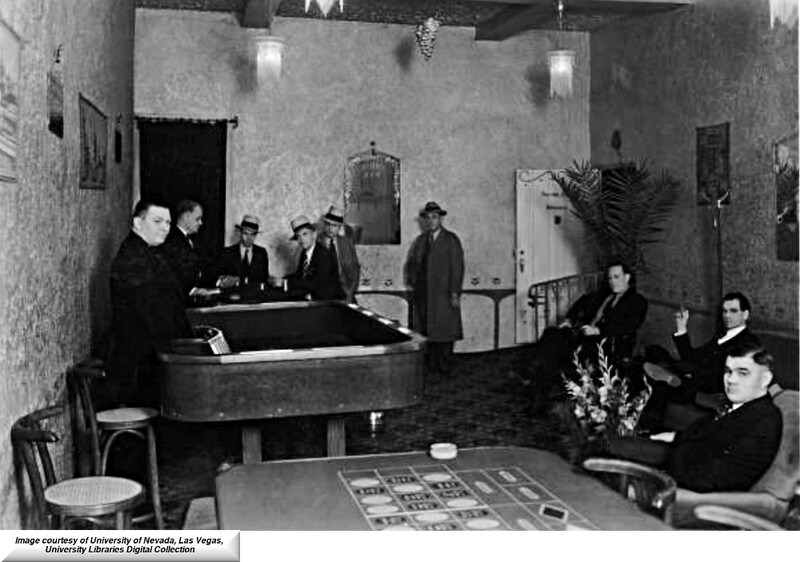 An interior shot of the Silver Club circa 1930s courtesy of UNLV digital collections. thesign for La Bonita Hotel, 30 E. Fremont at the corner with Fremont Street and North 1st Street.